St. Therese, whose feast we celebrate on the 3rd of October was born to a middle class French family. 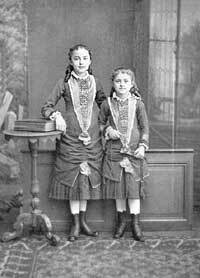 Her parents were pious Catholics who have both been declared venerable by the Church. St Therese and her sisters were blessed therefore to have parents who were wholly Catholic and who spared no effort to ensure that their daughters were the recipients of the best Catholic upbringing that they could give them. Though the lives of the members of this family were far from being free of the sorrows and tribulations of this world nevertheless God blessed the efforts of the Therese’s parents and they had the joy to see their children growing year by year closer and closer to God. 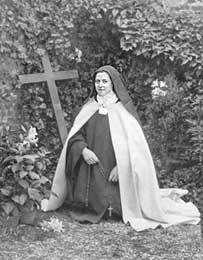 Sacrifice was always the word on the lips of St Therese and her sisters. From an early age they began the practice of making little sacrifices for God. Their intention was pure. They sought neither material gain nor glory but simply a desire to please their Saviour who had made the ultimate sacrifice for them on Calvary. While yet a child Therese was struck down by a severe illness. Despair settled upon her family as they witnessed the sad condition of heir daughter and sister. But Our Lady was standing close by ready to heal her chosen one and as St Therese herself related she was instantly cured when a statue of Our Blessed Mother smiled at her. 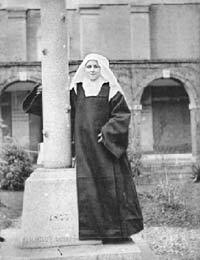 Therese had determined at an early age to become a nun and at fifteen she entered the Carmelite order. Here she practiced the virtues of what is called “The Little Way”. St Therese’s “Little Way” consists of making the love of and trust in God the centre of one’s life. St Therese practiced the virtues of this “Little Way” to an extraordinary degree. She always took on the meanest of tasks, was humble and self effacing and constantly offered up little sacrifices to Our Lord. 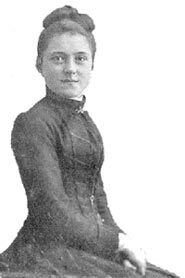 The unique quality of St Therese’s life is that she did nothing extraordinary. Hers was not a life ended under the torture of apostate enemies or the martyrdom of missionaries. Nor was it the life of a St Vincent De Ferrar whose whole existence was characterised by an almost unceasing display of thaumaturgical power. Her life was quiet and filled with self denial and self abnegation. Yet the Church honours as the greatest saint of our modern times and recommends to the faithful the imitation of her perfect and simple life and particularly her “Little Way”. Since her death she has rained miracles down upon her clients. In particular she seems to grant favours to those who practice the 24Gloria’s novena. To these clients she sends either a rose or a symbol of a rose to indicate that the prayer has been favourably heard by God.